Each quarter, the Seventh-day Adventist Church publishes a 'Quarterly" Sabbath School Bible Study Guide to be used in Sabbath School, for personal Bible study, or in any other setting in which a deeper understanding of God’s Word is desired. 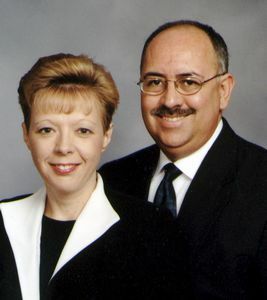 Claudio and Pamela Consuegra are the directors of the Family Ministries Department of the North American Division of the Seventh-day Adventist Church. They have a rich background in family ministries, having worked as a husband-and-wife team in numerous conferences; hosted a live call-in family show for LifeTalk radio for three years; and authored numerous journal articles as well as several books. They are passionate about building strong, healthy marriages and families for God’s kingdom.